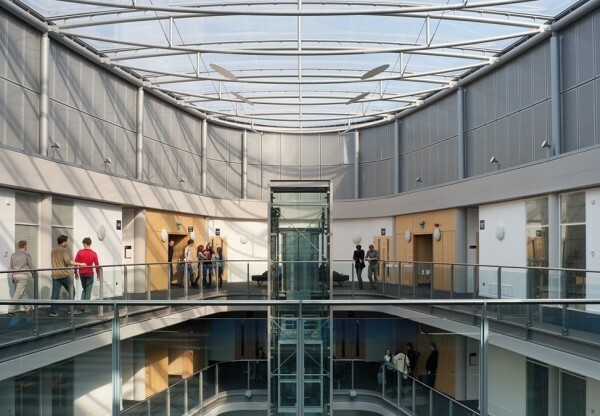 Located close to other key social spaces, the new building offers additional café seating space to complement existing catering facilities as well as provide a lively atria 'heart' space which can also be used for exhibitions and functions. 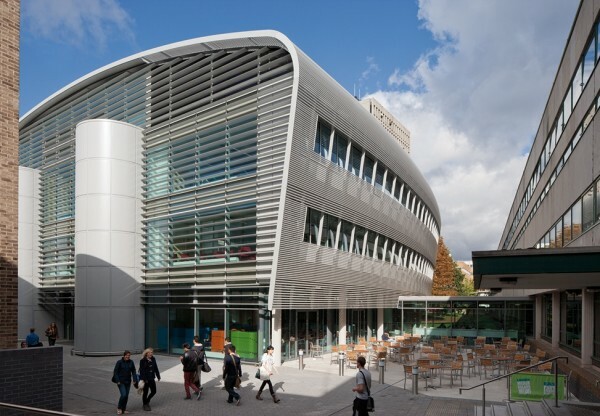 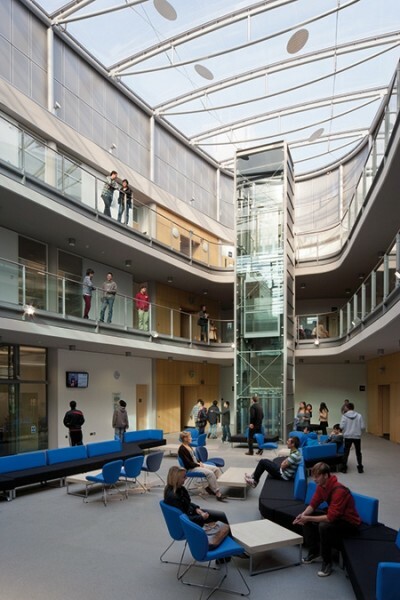 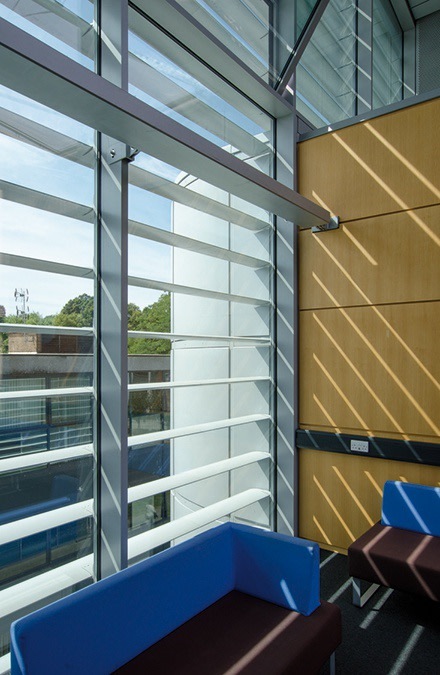 Teaching spaces embrace new pedagogical methods such as group learning in the form of an undergraduate centre, whilst post graduates are provided with their own private facilities. 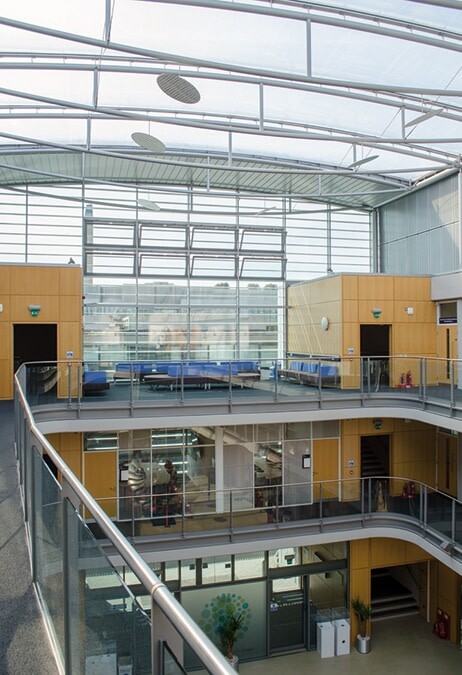 Simply planned flexible teaching spaces, which can be joined to form larger seminar or computer rooms as required and a series of large flat floor lecture spaces accommodating up to 200 people are also provided to complete the variety of academic spaces that the building offers. 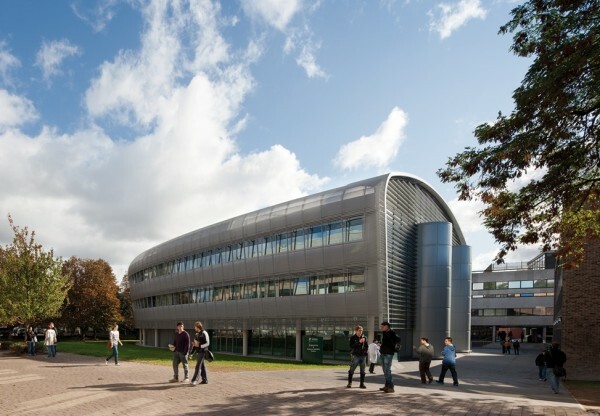 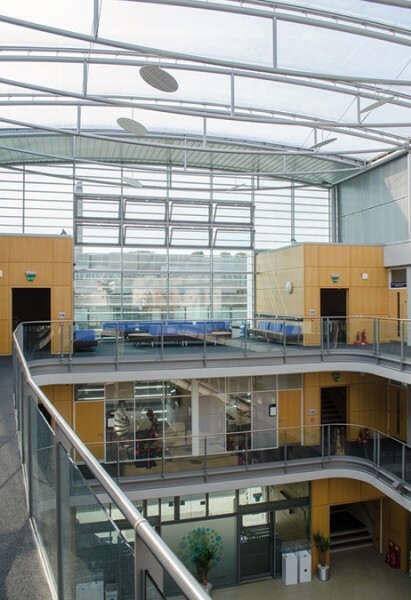 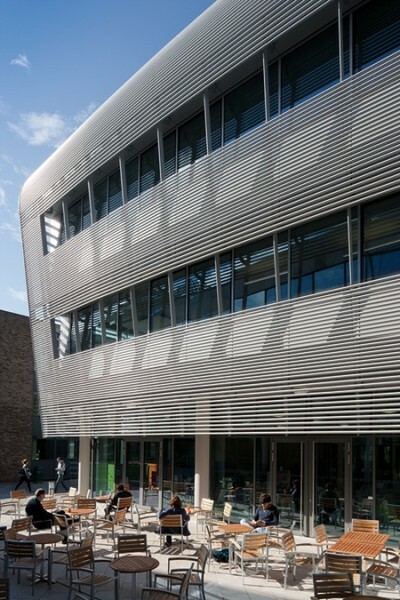 The Learning Centre has achieved a BREEAM Excellent rating and is seen as the first phase of the re-development of the Pope Building and the surrounding open space.